David is out for the holidays until next week. In the meantime, please enjoy his article from earlier this year where he presented results from the Preordain ban test. These results were originally presented in two separate articles (here and here), but I’ve divided them into parts for the purpose of easier reading. Once again, it is time to start rolling out my results from the latest Banlist Test. As usual, I will start with the experimental setup and the unquantifiable results. I know that what most readers care about are the hard numbers, but I’m not done gathering the data yet. That will be coming sometime in September—probably. I’m done with Storm and about halfway through the UW testing. Completion date will depend on how the PPTQ season goes, as I’m splitting my testing time between that and Preordain. For those who are new to the series, I take a card from the Modern Banned List, put it back into the deck that got it banned (or as close as possible), and see how it fares in the current metagame. My goal is to bring hard data and scientific inquiry into the discussion instead of more opinion and baseless speculation. Therefore, I play a lot of matches with the deck (normally 250 with the banned card, 250 without it) to build a sufficient data set for analysis. I take the test data, compare it to the control data, and from that I hypothesize about the safety of the test card. I laid all this out in more detail in a previous piece. The card that readers voted for me to test this time was Preordain. This test was very different from the last several. With both Stoneforge Mystic and Jace, the Mind Sculptor, I just tested a single deck against the gauntlet. While this often took a while, the testing was fairly straightforward. I took the deck, learned the deck enough to be passable, ran the gauntlet. The decks I was using certainly helped. Yes, they were midrange decks, but their gameplan was clear and the decision trees relatively clear and comprehensible. This time, for reasons explained here, I tested Gifts Storm and UW Control. This complicated things. To get a decent data set for both I’d have to play a lot more games. Doing the usual 500 matches would yield half the data. I made this harder for myself by playing hard decks against hard matchups. These decks require a lot of experience to navigate and Storm is very vulnerable to itself in the face of pressure. I’m not claiming to have played these decks perfectly, but I was at least average with Storm and good enough with UW that I took an updated version to a PPTQ. Thus if you see issues with the results or my data, consider that I am just one man with a few volunteers—in an enormous undertaking like this, exhaustion and deck difficulty are bound to play a part. As always, I would be piloting the test decks against (semi-) willing opponents wielding decks that they are reasonably good with. We’d play match after match at a stretch, with me alternating between the test and control deck to even out the experience and skills I was developing during the tests. Prior to data collection, we always played at least a few practice games to get a feel for things and determine the correct sideboard plans. Previously, my team has used a variety of methods to actually play the games, including MTGO. We did not use MTGO at all this time. This prevented us from losing matches to misclicks and ruining the data set. It was also significantly cheaper. I don’t own most of the digital pieces for Storm, couldn’t get them, and already dislike MTGO. Playing paper in person or over Skype was much easier. And free. I like free. As I mentioned above, my data set is normally 500 matches. That is too small a set for two decks, but it was logistically implausible to just double it. It takes months to get all the data together as is—doubling would push completion into October at the earliest. I’m just not going to put that kind of time in to this project. Therefore, this data set is 640 total matches (160 per deck, and 32 per matchup). Why 640? I didn’t have a set target when I started, but I knew that 150 was the bare minimum. Of course, I was testing both decks simultaneously to save time and I was burning out. I decided I’d had enough at 27 matches, but that was an ugly looking number and felt like too big a cop-out so I kept going to 30. And then did two more so we’d get nicer aggregate numbers. All of the decks were chosen in mid-May. They are as close to “average” lists as my team could find. Several members were irritated, as they wanted to try out their personal tech during testing, but the whole point is to see how these cards work against a representative metagame. Thus we used the most average build of every deck possible. Choosing the test decks was harder than actually fitting in Preordain. In previous tests, I actually had to build decks around the test card. Stoneforge Mystic requires six slots minimum, Jace, the Mind Sculptor benefits from and rewards decks that play lots of very cheap spells. This required actual deckbuilding. This time I’m testing a cantrip in decks that already play cantrips. I just replaced the weaker one for Preordain. There is some consideration of adding more, like a Legacy deck would do, but we couldn’t agree on how to do that and the clock was ticking. I went with the quick and easy option. The core combo of the deck is very well established, and it’s just as powerful and fragile now as it was in 2013. Swapping Pyromancer Ascension for Baral and the banned Gitaxian Probe for Gifts Ungiven is the only new innovation. I saw some lists running Merchant Scroll, but that was very much a fringe choice and didn’t make the cut. The most common sideboards at the time were Gifts packages. I’m not sure they’re actually better than more focused boards, particularly because there are no Blood Moons, but this was what saw the most play at the time. I don’t know that it made much of a difference. My experience showed that sideboarding was a very delicate thing and I did it at the barest minimum possible to preserve the combo. I doubt that the exact composition of my sideboard would have changed that plan. There was some consideration for the transformative Madcap Experiment/Platinum Emperion combo, but everyone I asked said it was worse than extra Empty the Warrens. There’s a lot more variation in UW Control, and it took awhile to put together a “stock” list. Sphinx’s Revelation and Ancestral Vision didn’t make the cut in favor of Spreading Seas and Condemn, by a very small margin. The Spell Queller plan was popular at the time, though it has gone away recently. I didn’t really like it, but it also didn’t have much opportunity to shine. As usual, I chose five decks from all corners of the metagame, giving preference to Tier 1 decks. Again, the point is to test the power of these boosted decks; it makes the most sense to test against the best. This was both easier and harder than before. Every type of deck was represented in Tier 1 in May, but the control deck was UW Control. Which I was already testing by virtue of it being the… erm, control deck. I needed to use the same gauntlet for both decks so the results were comparable. As such I fudged it to use a Jeskai list. This is not unusual now, with Jeskai ticking up in popularity, but it was unheard of at the time. I’m also fudging a bit by using Counters Company as my combo deck. It’s far more combo than Abzan Company was, but it’s still not a true combo deck. Naya Burn appeared to have been pushed out of the mainstream, so we used a Boros list. The initial results are actually very disappointing. At this point I’ve played over 500 matches (~140 to go!) and I don’t have a strong opinion on Preordain. This shouldn’t be surprising: it’s a cantrip. Cantrips don’t have that much impact on a game (unless you play a lot of them), hence the name (it’s a D&D reference). They’re like the oil in an engine. You notice when they’re not there, but otherwise you just don’t see the impact. Upgrading your cantrip is like buying higher quality oil. Yes, your engine will run smoother and your mechanic may see some improvement, but you are unlikely to actually notice any difference in normal operation. In a way, that is my answer. It didn’t really feel special to play with Preordain. It was a definite improvement over the replaced cantrip, but not enough for me to feel strongly about the card. Its value swung wildly based on the situation and stage of the game, but so does that of any cantrip. Part of that may be how I played it, and it is very possible that decks would be built very differently with Preordain in the format. But players may also find that the lengths you have to go to just aren’t worthwhile, like putting high-octane gas and racing lubricant in a Civic. I barely noticed any difference between Preordain and Sleight of Hand. This is probably because most of the time Preordain was Sleight of Hand. I will include the actual numbers when I circle back to this, but most of the time I kept one card and bottomed the other. You do get extra value from having options, but I didn’t utilize them very often. It is entirely possible that I was wrong about that, but it certainly didn’t seem that way to me or my team. 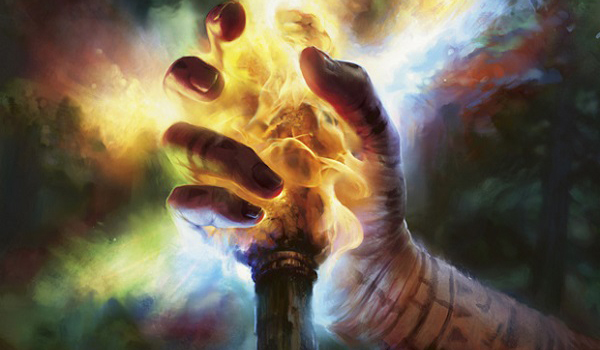 Preordain was swept up in the post-Pro Tour Philadelphia 2011 crackdown on combo. At the time it made sense—not all the combo decks used fast mana but they all used cantrips. Subsequent bannings have further weakened combo. Based on what I experienced, those later bannings made cantrips worse in combo. Games when I had a cost-reducer into Gifts Ungiven were far better than stringing cantrips together. It just didn’t feel important to Storm. Of course, it really doesn’t feel special in UW either. It is unequivocally better than Serum Visions after turn four, but on turns 1-2, it’s worse. In the mid- to late-game, you’re looking for specific answers and Preordain delivers them right away instead of setting you up for next turn. However, early on you’re just looking to get deeper into your deck, and Visions will always show you three cards. You get a random card that you won’t play anyway and then set up for the next two turns. It’s normally correct to Visions at the first opportunity as a result. Preordain cannot do that, so you don’t play it early, saving it to find specific cards when you need them. I suspect that I should have played both, but hindsight is 20/20. I believe that I’m doing better as the game goes long but losing to mana screw early more often. We’ll see what happens when the data comes in. The time has (finally) come to actually reveal the results of my latest banlist test. Looking back, testing two different decks made this harder than it needed to be. Focusing just on Storm would have yielded more satisfying data, though not a more significant result. As you will see, it appears that Preordain would not have that much impact on the top-tier metagame for a variety of reasons. Some of these I mentioned previously; a few will be explained here. However, this ultimately doesn’t matter. Other developments since I began this test ensure that Preordain is never being unbanned. What I’m going to do is reveal the aggregated result. My questions were, “Is Preordain safe for Modern?”, and whether the overall data show if this is true. I’ll then break it down by deck and matchup to show how that result was achieved. What you’ll see is that Preordain did not significantly impact deck performance for either Storm or UW Control. This suggests that an unban is plausible. However, as I will get to later on, this result will not change Wizards’s stance, and I don’t anticipate playing Preordain in Modern in the foreseeable future. I feel the need to start with this disclaimer: this is not a definitive result. The results I’m reporting are my experimental results and are meant to model the impact of unbanning Preordain on the Modern metagame. It would take many more tests with more decks to give a truly definitive result. As a reminder, there were 640 total matches, or 320 with each deck. Play/draw alternated with each match regardless of result to ensure fairness and prevent bias. They were all typical matches—best of three with sideboarding. Please refer to the previous article for all the decklists. As you can see, I didn’t have very impressive results. I’ll be going into why as I deal with each deck, but having Preordain didn’t feel very special. It was very similar to Sleight of Hand in Storm, and was inconsistently good in UW. I think we all know what the statistical test will show, but I’m going to include it anyway for academic honesty. Once again, I’m reporting the z-test result because I think more people are familiar with it. As the P-value is greater than 0.05, we accept the null hypothesis and there is statistically no variation between the results. From this we can infer that Preordain had no real impact on my test decks. Storm was something of an odd test for me as it really didn’t feel like an integral piece of the testing. What I mean is that the matches rarely came down to how I, as the Storm player, played. A few times a poor sequence hurt me, but for the most part the actual combo played itself. I know I wasn’t playing it perfectly, but Gifts Ungiven provided enough forgiveness that I didn’t need to. If that card resolves, you should always win. My losses were either caused by me mulliganing to death or my opponent’s disruption preventing me from comboing in the first place. A note on sideboarding: Storm cannot afford to exchange many cards without severely harming its odds of comboing. I remember years ago hearing that Jon Finkel never sideboarded at all with Storm if he could help it, and who am I to argue with Johnny Magic? As a result I boarded as little as possible. I was told that Shadow was a very hard matchup for Storm. They have lots of relevant disruption and a powerful clock, the classic anti-combo recipe. This proved to be true, though Shadow has a hard time actually sticking a clock I found. They don’t have that many threats, so sometimes I was able to play the long game and come back from having my hand shredded. With only a one-game difference between test and control, there is no chance that the result is statistically significant, which the analysis confirms. P > 0.05, so accept the null hypothesis, there is no statistical variation in the data. Sideboarding really didn’t change the matchup. Grixis had a pretty good gameplan pre-board, and it was still great after siding. There wasn’t much that Storm could do to change that other than go for Empty the Warrens more. I thought this would be a worse matchup than it ended up being. Storm doesn’t fail with just one piece of disruption, so a single Thought-Knot Seer is not that bad. E-Tron sometimes just fails to do anything relevant except make a single big threat. Chalice of the Void was ignorable on one and often the game ended before they could put it on two. But when that did happen, it was game over for me. Absolutely no change. Again, I don’t think the statistical analysis is necessary, but here it is anyway. There’s no statistical difference between the control and the test. I suspect that sideboarding had a much larger impact on the matchup than expected. E-Tron brings in a lot of great ways to shut down Past in Flames, meaning you’re forced to rely on Empty the Warrens, for which they have All is Dust and lots of creatures. Big Walking Ballistas were a nightmare, as was Wurmcoil Engine. We debated bringing in Shatterstorm for all the artifacts and ultimately decided against it. By the time you’d play it most games, you’ve already lost. Counters was a really swingy matchup. Play/draw really mattered because you’re both combo decks and can kill on turn three. Game one was just a straight race, and Storm was more consistent. After boarding it got complicated. Counters has decent answers, and Storm does not, but it might just get locked out without Echoing Truth. There’s a theme with these results. See if you can spot it. Again, little has changed. Preordain isn’t important in a racing situation. It just ensured that you never fizzled, which is pretty rare anyway. Since the goal was to win turn three, Storm didn’t sideboard on the play. On the draw you had to be the control deck, relatively speaking, so there was sideboarding then. I thought Burn would be a better matchup than it actually was. I didn’t appreciate how good Searing Blaze actually was against Storm. You’re reliant on your cost reducers to go off, and Blaze kills them efficiently. Burn also reliably goldfishes turn four and can turn three you if your mana cooperates, so they can race you. Also, Eidolon of the Great Revel is lights out. The only way to win with that on the field is to Empty the Warrens. And you’re probably dead anyway. We always played game one as if we didn’t know what we were playing, but for games two and three my Burn pilot aggressively mulliganed for Eidolon. Not a big change again. I believe the difference was the Burn’s aggressive mulligans paid off a few more times against the test deck. Again, not a significant result. Well within the “noise” of the test. I actually expected this. With a smaller n-value you need really disparate results to achieve statistical significance. Sideboarding for Storm was hard here. You needed to remove Eidolon and couldn’t rely on Empty. In exploratory testing I found that you could Empty for a lot and still die so we decided to stick to the Grapeshot kill as much as possible. On the draw we decided to add more counters. For Burn we took out the clunkiest burn spell and Lavamancer for relevant disruption. We debated Kor Firewalker for a while and decided against it. Jeskai was another swingy matchup, mostly because their clock was what really mattered. Given the time, I would just sculpt to my heart’s content and win through their permission. The fact that this version didn’t have Geist of Saint Traft helped on that front, but Spell Queller was also a beating combined with all their burn. With a different sideboard on Jeskai’s side I can see this matchup becoming much worse. It’s very significant how not significant these results are. I really am running out of things to say here; it’s only going to get worse for UW. For sideboarding we adjusted the counter suite for Storm while Jeskai really had the opportunity to adapt. The Empty plan is meant for disruption-heavy decks, but it really hates it when you prepare and have sweepers. Preordain did not excel in Storm. It was simply too like Sleight of Hand, which it replaced, to have any significant effect. Where it was better was post-sideboard when you were digging for pieces and seeing only junk, but that didn’t happen too often. Most games I cantripped a few times then attempted to go off. Even against Jeskai the games didn’t tend to go very long. The opponent’s disruption and clock mattered more than the power of my cantrips. Therefore, I have no evidence here that Preordain would change anything for Storm. Testing UW was far harder. A control deck has more decisions and takes longer to finish a game, which is why this took so long, but it also required more of a play adjustment between the control and test decks. Serum Visions and Preordain are better at different things and expecting one to do the other’s job was disastrous in exploratory testing. As a result I had a harder time with the deck. UW has a pretty good matchup thanks to its redundancy. You can’t really stop their first few turns, so they will shred you, but you are likely to recover and draw more powerful cards as the game goes on. As long as you don’t just die to beefsticks you’ve got a great shot at out-valuing them. You know by now where this is going. We didn’t sideboard very much, both decks are close to where you want them maindeck. The adjustments were based on the assumption the games would go longer. Eldrazi was a weird matchup. Their deck is fairly inconsistent, and when I could use Spreading Seas to capitalize on that, it was easy. Against their good hands and/or Cavern of Souls, it got much harder. Playing only unconditional removal was very good as well. However, sometimes Eldrazi is just Eldrazi, and Chalice can prove backbreaking. There’s not much to say really, it was just a slugfest. UW is almost pre-sideboarded against Etron. I wished it wasn’t, as I would have liked more Detention Spheres for Chalices, but that wasn’t an option. I debated Spell Queller but it didn’t perform in exploratory. This was a weird matchup. Sometimes Company went for the long-game; sometimes it was just jamming the combo. UW never felt safe and it was a really stressful test. Collected Company is a hell of a card. I decided to target the Company value plan with my sideboarding, since that was their best card and I didn’t really have more ways to interact with the combo. Spreading Seas is not effective against mana dorks. Company went for sweeper insurance. This went worse for UW than I thought it would. It plays less lifegain and fewer counterspells so it can be a struggle. I know the percentage jumps look big but that’s just a quirk of small n samples. Sideboarding is what you’d expect: dead cards out, counters in. The Quellers were pretty good here as both disruption and a clock. You can’t wait forever against Burn. Spreading Seas is too tempo-negative to play early, and late, it’s not relevant disruption. We played this matchup as a control deck against a midrange deck. Neither I nor my Jeskai pilot were sure that’s correct, but nothing else made sense at the time. It was weird because most of their cards aren’t good but can still kill you if unopposed. Blessed Alliance was shockingly good as a result. This matchup was the closest to actually significant results I got. I think if I had done the usual 50 it would have been significant for reasons I’ll describe below. Sideboarding in control mirrors is hard. I decided that his Snapcasters were better than mine and that I wanted to fight on his turn to resolve planeswalkers. I also didn’t want to just lose to burn. The Jeskai test revealed why my results didn’t change much from control to test. Preordain is a mid-game card, and Serum Visions is an early-game card. What I mean is that during mid-game topdeck wars, Preordain is better, because you can find and cast the card you want right way. Visions gets you deeper, but you get a random card. This is great in the early game where you want to hit land drops and set up your turns. When games end quickly, Preordain doesn’t get the chance to shine. Based on my results and experience playing the card, I do not believe that Preordain is unequivocally better than Serum Visions. During the first few turns, the smoothing power of Visions is far superior, and if you want a card to set you up for the long game, you would always choose that card. However, when you need to find something right now, Preordain will be your go-to. As a result, I don’t believe that they necessarily fight for space, nor would you always play sets of both. A mix is more likely. With this in mind and my lack of significant results, I believe that Preordain could be unbanned. I wasn’t testing decks that overload on cantrips. This was a deliberate decision to keep this as scientific as possible. If I start wildly redesigning decks, then the test becomes more about my deckbuilding ability than the actual strength of the cards. As I’ve said from the beginning, it’s better to use an established list and see how the card boosts its power. So I didn’t play 12-cantrip Storm or Serum Visions and Preordain in UW Control. In Storm, I’m certain this was fine. I’ve played heavy cantrip Storm in Modern before, and the Gifts version feels better. Having a way to search for mana and Past in Flames was very good, and I can’t fathom cutting that package. Players have argued that I should just cut the utility spells for extra cantrips, but I’m skeptical. As noted, Chalice and Eidolon win the game against you, and having a few ways to answer them is necessary. The cantrips are still weaker than Legacy’s; a single Echoing Truth is not going to cut it. As for UW, I’m not certain. Finding the room for cantrips requires cutting real cards. Modern is faster than Legacy, so you can’t really durdle or fill your deck with air, especially as a control deck. Miracles got away with that thanks to Counterbalance. Maybe it would be correct, but I’m uncertain. In any case, trying to find out adds more variables and is therefore untestable at this time. The problem is that nothing I’ve just said really matters. This has nothing to do with its value or the process, but with Magic moving on while I’ve been working. See, Opt has effectively killed Preordain‘s chance to be unbanned. The first reason is similarity. Opt is Preordain, adapted for instant speed. The effect is weaker, but it gains speed. Standard Wizards balancing strategy. Yes, I know Opt came first, but it wasn’t appreciated in its time. If you have to nitpick, just flip my statement around; it’s still true. This feeds into the other problem. Wizards has previously said that too many cantrips is a problem. They’re worried both about consistent combo and overly consistent control (à la Caw Blade). They’re fine with a few weaker cantrips, but add some more power and things get risky. As a result, I think Opt is a definitive statement to the Modern crowd that the cantrips won’t be unbanned. Wizards will not risk cantrips killing variance again. In the end, that’s my conclusion. Preordain is not necessarily better than Serum Visions, and would be a worthwhile risk to unban. This will not happen because Opt subsumes Preordain‘s theoretical place. See you next week for the results of fitting Ixalan into Merfolk. I’m surprised no one mentioned this in the original article. “Accepting the null” is not how to properly communicate the results of a failed statistical test. You either reject or fail to reject the null. Failing to find evidence to reject the null is not necessarily evidence that the null is true, you have simply failed to find evidence to reject it. Hence, you do not accept the null. Otherwise great article and I hope indicative of what we can expect to see in 2018. All my stats professors said accept the null and I’ve used it for years, this is news to me. Maybe different teaching methods? If you liked this, strap yourself in for a very academic January. Very possible. I myself am not a statistician but a researcher. Here is an interesting read on the topic from the author I’ve read the most on statistics http://w3.sista.arizona.edu/~cohen/Publications/papers/cohenIEEE96.pdf. As you said, its likely a discipline difference. Happy holidays! As I suspected. I’ve long said that Preordain was a safe unban, and I feel somewhat vindicated in my thoughts by these results. They may not be exhaustive, but they are pretty definitive. Now, the question is, what are the odds we actually see the unban? Opt’s reprinting makes me think it’ll be a while. Is there anyone who who can help me submit a volunteer article to this website? The email address on the submission page does not seem to be working and I am having trouble figuring out where to send it.